The Ultimate Street Car Invitational is an annual shootout put together by Optima Batteries, where drivers can put their street-legal cars to the test. It’s no surprise that many of the contestants are performance cars such as Mustangs, Camaros, and Corvettes. These cars are widely supported with many aftermarket and performance parts available. In this way, Robert Jackson’s 1967 Volvo Amazon truly stands out from the crowd! With a car like this, there is next to no aftermarket support in terms of performance. If you want to change suspension parts or build up the motor, you will find yourself making a lot of custom brackets and adapters, drilling and modifying parts to fit, and other issues that most people would rather not deal with. Fortunately, Robert is able to make it work thanks to his business, Swedish Ops. As a speed shop catering to Volvo owners, they occupy a unique niche in the market. 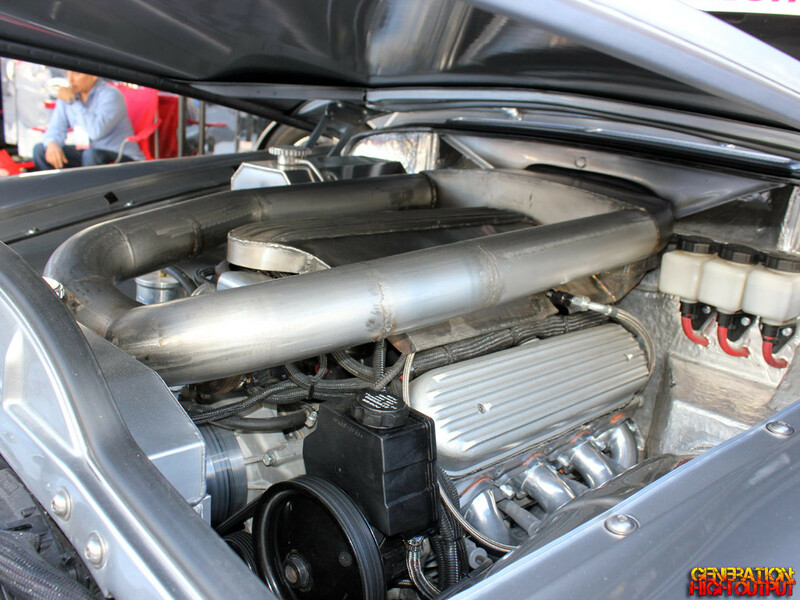 The car’s original motor has been swapped out for a GM LS3 V8 engine from Regal Performance. It’s putting down about 600 horsepower through a Tremec TKO600 5-speed transmission with a McLeod twin disc clutch and aluminum flywheel. 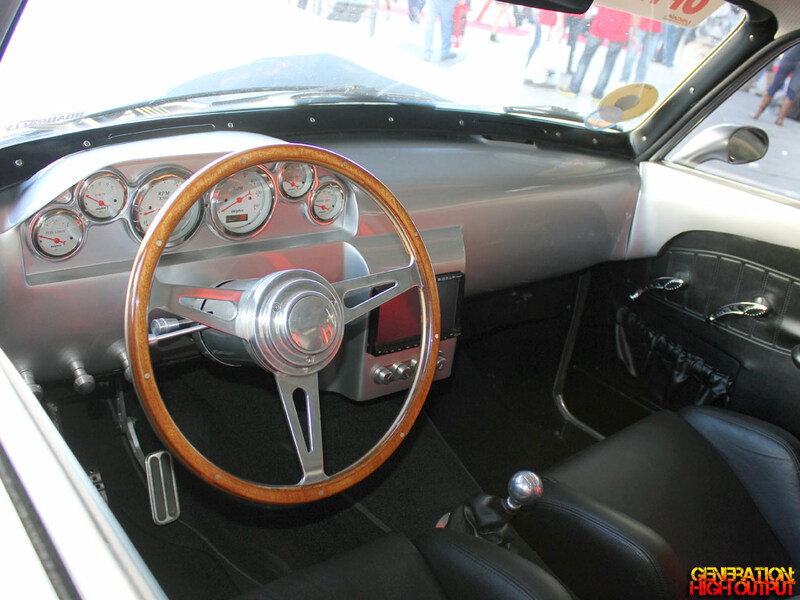 The driveline consists of a Speedway Mod-Light 9-inch rear end with 3.25 rear gears and an Eaton Trac Loc. The whole thing rides on a set of custom 18″ Boze wheels with 225-front and 265-rear Dunlop tires. The entire car tips the scales at about 3,000 lbs – which means it can definitely hold its own against the competition! We admire the tremendous amount of work that has gone into this car and wish Peter Jackson and his Swedish Ops Volvo the best of luck! 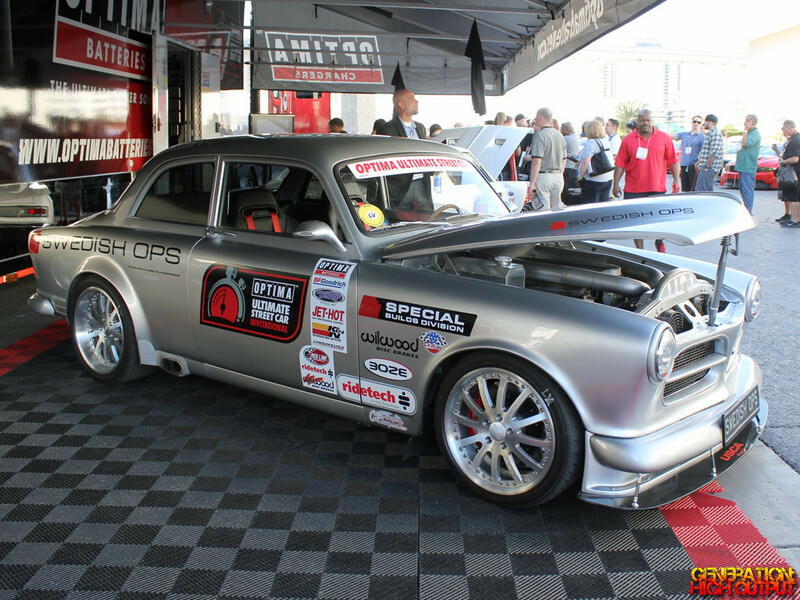 This entry was posted in SEMA and tagged 1960's, custom car, engine swap, Restomod, SEMA 2014, Volvo by Trevor Freeman. Bookmark the permalink.